Nepal's Communist rulers are stoking xenophobia to tighten their grip on power. Politicians around the world need an enemy — real or fake. And if they do not have a foe, they will create one. 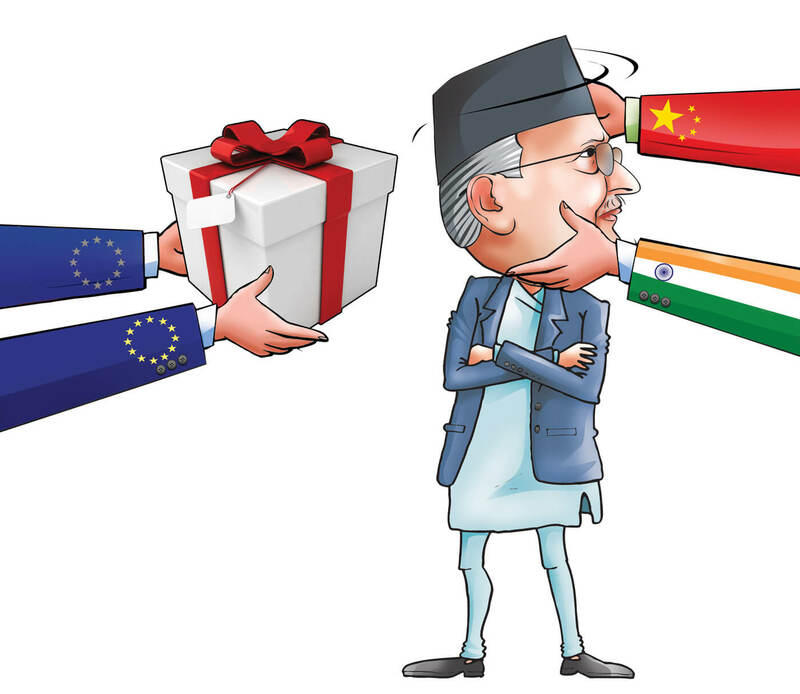 After overthrowing an unpopular king and making peace with an India that it demonised, the Nepal Communist Party (NCP) seems to have found a new enemy: Westerners, particularly the Europeans. Western aid agencies, experts and researchers have contributed immensely to Nepal’s development over the last half century. 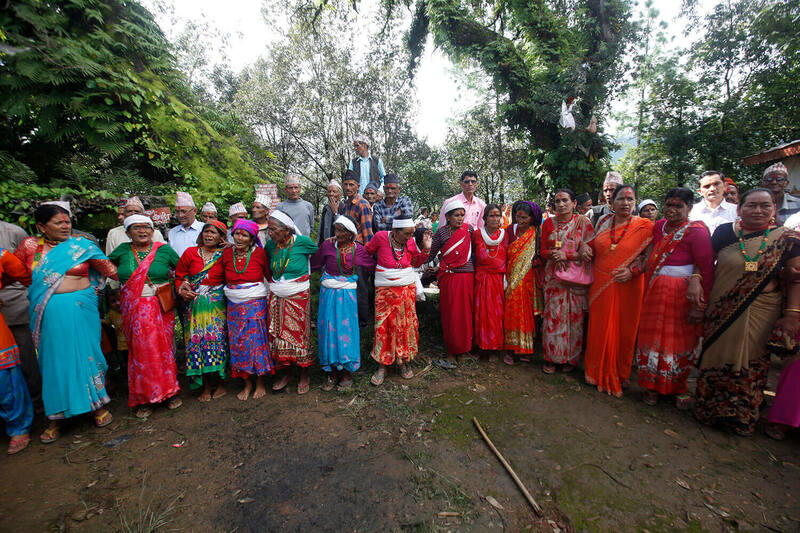 They worked with Nepali partners to eradicate malaria in the Tarai, build highways, support community forestry, connect mountain communities by building suspension bridges, promote tourism, and won the hearts and minds of many. They also helped Nepal assert its sovereignty, first with the Anglo-Nepal Treaty of 1923, and later boosting its standing as an independent nation in the tumultuous aftermath of India’s independence. The great powers may have had a geo-strategic interest in helping Nepal during the Cold War and after, but assistance from the Nordics, Australia and others came with few strings attached. Fast forward to 2018, and things are different. The rise of China and India (which also happen to be Nepal’s giant neighbours) means that the influence of the West has waned. Indeed, Nepal’s new Communist leaders have made it quite plain that their role model is the Chinese system. They seek Beijing’s assistance in ushering in an era of prosperity by trying to rein in dissent. In the past, India offered a counterbalance with its history of democracy and pluralism. But after the BJP came to power in Delhi, there have been worrying signs of extremism, democratic decay, and intolerance of dissent in the media there too. Nepal’s rulers, now, even more openly seek India’s support to attain and maintain their power. All this means that the Western countries, agencies and citizens feel increasingly alienated in a Nepal that used to welcome them with open arms. Diplomats, donor officials and INGO representatives privately admit to feeling increasingly beleaguered. Western diplomats have not publicly spoken about this, but they have taken their concerns to the highest levels of the Nepal government, either at ambassadorial level or during visits by senior officials from their countries to Kathmandu. “New draft directives appear to be designed to control our activities, there are delays in getting appointments, conversations can be quite testy, sometimes even hostile,” said one Western diplomatic source. In May, the government passed a Foreign Nationals Monitoring Directive that formed vigilance committees in all 77 districts to keep track of outsiders. Led by Chief District Officers, they will report directly to two national level committees: one headed by the Home Minister and the other led by the Director General of the Department of Immigration. Based on reports of the vigilance committees, the government can revoke visas issued to foreigners and even deport them if they are found to be ‘harming social harmony’. Vague wording like this allows local officials and the government to go after anyone they do not like, and throw out activists or those critical of human rights violations on social media. Even before the law came into effect, a Kathmandu-based Canadian software engineer was arrested and deported for tweets that authorities said caused ‘social unrest’. Some of this sensitivity appears to be a reaction to the perceived increase in the activities of evangelical groups, some of them from Western countries. However, the government seems to think only European and Americans are involved in conversions, whereas the most aggressive proselytisation is being carried out by the Koreans and other Asians. In July, a Filipino and his Indonesian wife were deported for proselytisation. Another directive that will restrict the activities of foreigners even more is the proposed National Integrity Policy, which seeks to bar INGOs from ‘leveling unwarranted charges against Nepal … and spreading hatred’. If passed, it will also prohibit INGOs from submitting reports to their international boards without first getting them approved by the government. This rule would effectively bar bilateral and multilateral agencies from publishing critical reports like the one that the European Union (EU) mission published in March that was critical of the electoral laws reserving seats for dominant caste groups. Nepal issued a strongly-worded statement asking the EU to ‘refrain from making such uncalled-for comments’. The government has also set in motion new visa guidelines to prevent foreigners on tourist visas from working in aid agencies, charities and volunteering. Now they need letters from the Home Ministry and the Labour Ministry to get work permits, which is usually fraught with delays especially if the organisations work on gender, identity, empowerment and human rights. In June this year, the UN refugee agency UNHCR sought permission from the government to celebrate the World Refugee Day by carrying out a series of public events, but permission was not given. Human rights activists were warned not to pressure the government to sign the 1951 UN convention on refugees, which would require Nepal to show more compassion to the Rohingya and other refugees. There are indications that the government’s crackdowns on Western governments and agencies are inspired by China which closely monitors pro-Tibet activists in Nepal, and India which does not like Western human rights organisations based in Kathmandu monitoring the region. Political analyst CK Lal says Nepal has always been a xenophobic state, it just became latent after 1990 but has been reawakened now by Nepal’s rulers to tighten their grip on power. “The Oli government is becoming increasingly more authoritarian, and xenophobia is an important tool for it to stay relevant,” he says. Indeed, the NCP is already extended its control over constitutional bodies and has been threatening restrictions on the mainstream media. It now intends to silence civil society groups by squeezing their donors. Nepali officials became paranoid of Westerners after the conflict and the first few years of the peace process when the United Nations Mission to Nepal (UNMIN) was seen to have a pro-Maoist bias with its reports justifying the revolution. The UN peacemaking body was then accused of radicalising a section of Madhesi and Janajati activists with demands for ethnicity-based federalism, and for highlighting ‘structural discrimination’ in the country. UNMIN’s activities ended up alienating politicians, activists and civil society leaders who began to see foreign funding or presence as a threat to their dominance. Prime Minister Oli, who was the main opposition leader during the Constitution making progress, was quick to sense this. He then deftly played the nationalism card, not just vis-à-vis India after the blockade but also against Western influence. His party’s landslide victory legitimised the xenophobia. Political analyst Hari Sharma first observed this shift clearly during the brief lull after the dissolution of the first Constituent Assembly in 2012. “That was when the Maoists began to discard their war-time agenda of identity-based federalism and even secularism,” he explains, arguing that the Maoists never wanted identity-based federalism, secularism or even inclusion, they just used the slogans to mobilise the magrinalised against the state. After the war ended, the Maoists needed a scapegoat to blame for their failure to push progress, and latched on the West. At a time when Western aid agencies are finding it increasingly difficult to work in Nepal, over two dozen Chinese NGOs have arrived in the country to get involved in everything from health to disaster management. The Social Welfare Council of Nepal and the China NGO Network for International Exchanges signed an MoU in July, paving the way for 26 Chinese NGOs to work in the development sector. Ironically, these are precisely the sectors that Western aid agencies have so far been involved in. Although Nepal has been receiving grants and loans from China ever since Kathmandu established bilateral relations with Beijing in 1955, the first Chinese NGO was registered here only after the 2015 earthquake. Soon, two more Chinese NGOs followed suit. Now not just 26 new Chinese NGOs, but all 200 members of the China NGO network can be involved in Nepal. 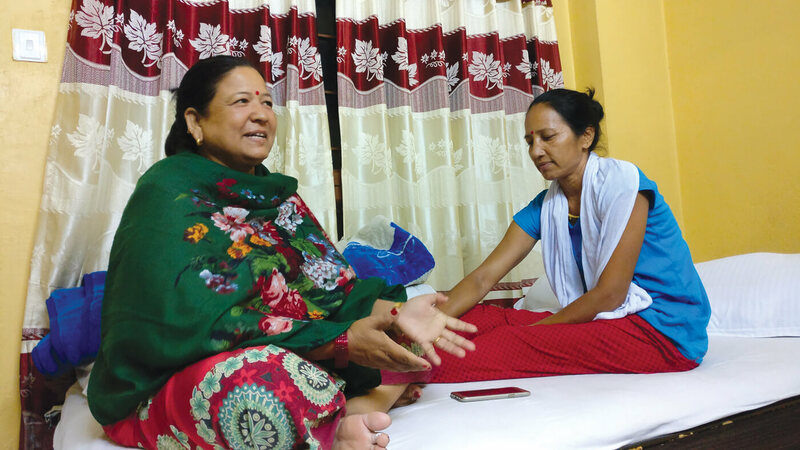 Durga Bhattarai of the Social Welfare Council Nepal says: “Like Western countries, China has now felt a need to enhance its public diplomacy in Nepal, and what could be a more effective tool to achieve that than reaching out to Nepalis through its own NGOs”.